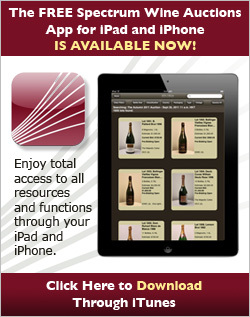 Spectrum Group International Inc. celebrated the launch of its latest auction house, Spectrum Wine Auctions, in July 2009. Check back regularly for frequent updates on important company happenings. Watch for the official company launch press release to be posted here in the coming days. 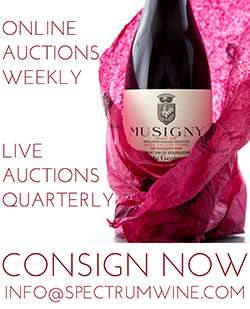 If you have any questions about Spectrum Wine Auctions or would like to discuss consignment or selling opportunities for your own fine wines, please call us at 888.982.1982 from inside the U.S., or +1 949.748.4845 outside the U.S.